Many people seem to consider Puerto Natales as nothing more than a staging point for visits to Parque Nacional Torres del Paine or Cueva del Milodón Natural Monument, the latter an attraction as much because it was made famous by the book that made Bruce Chatwin famous as for the fact it was once home to the giant ground sloth, the eponymous Mylodon. 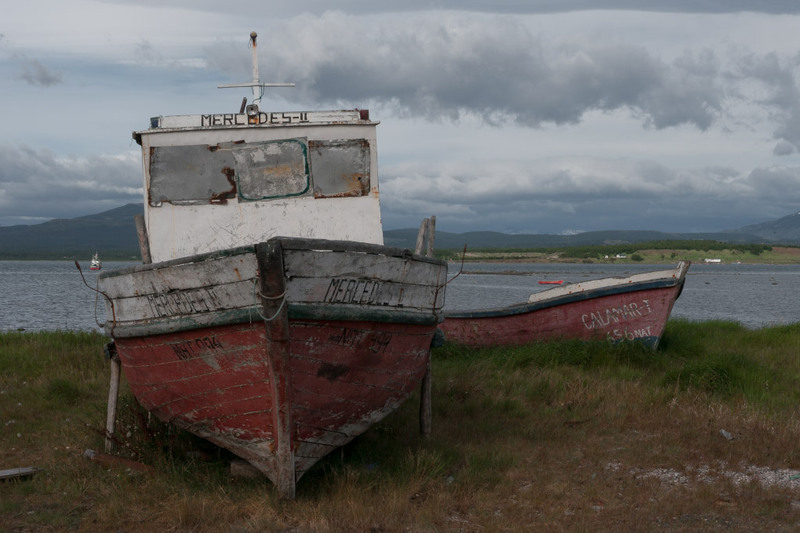 But I liked Puerto Natales — much of it, at least — for its own sake and stayed a little longer than many visitors. I even thought this was one place I'd like to stay for a protracted period, improving my bad Spanish, writing, wandering, watching the birds, photographing the old boats I suspect the passers-through don't find. Maybe, I thought, if my Spanish improved enough I'd eventually be able to listen to something of the ruins of their moments. I remember your other photos of this place. A crossroads, a place between. Ah, the poignancy of a boat sitting on grass. Poor old Mercedes could tell a tale or two. Zhoen, the opportunities for photographing were almost endless — which might explain why it was so difficult. I tend to like in-between places, too; I like the feeling of being between places. So full of expectation and potential. RR, the last paragraph has become famous. What a strange character he was. I don't know whether to admire or be appalled by what was either fearlessness or utter self-absorption. His writing at its best, though, was incandescent. Robb, you're right, but for so many of us the incessant shrieking of the everyday world makes listening impossible. 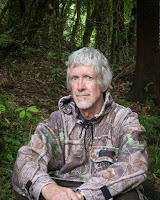 I think that's one of the things I love about the Ruahine — the literal and figurative quiet that lets us hear if we're prepared to listen. I have no doubt you understand that. Came across this on rime mushrooms, which apparently like Patagonia. Thanks Zhoen. The article includes some gorgeous photographs, and talks a lot about Cerro Torre, which is famous (notorious) for the ice mushroom capping its summit like the proverbial last straw.